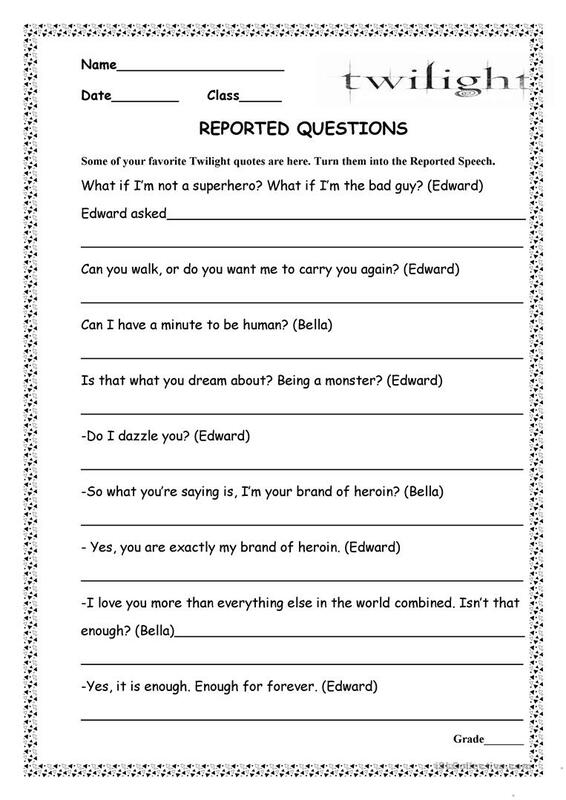 Using quotes from favorite books is a good source for grammar drills.It's not easy for foreign learners to remember all these changes in English reported questions . The above printable, downloadable handout is a great resource for high school students and adults at Intermediate (B1) level. It is a useful material for practising Reported Speech (Indirect speech) in English, and is a valuable material for strengthening your learners' Reading and Writing skills. It is focused on the theme of Feelings, emotions.